Listen: "Chenggang Jerry Wu: Shakedown In China’s Clean Tech Sector Near End, May Be A Good Time To Invest"
In this episode of China Money Podcast, guest Chenggang Jerry Wu, principal investment officer of IFC’s (International Finance Corporation) climate change fund, discusses IFC’s commitment to Chinese private equity funds in the climate change sector, the new opportunities arising from China’s pollution treatment efforts, and what he looks for in a first-time fund manager. Listen to the full interview in the audio podcast, watch an abbreviated video version, or read an excerpt. Q: Can you first give us a brief introduction of IFC’s climate change fund and your role in managing the fund? A: IFC is the largest multilateral organization focused on emerging markets’ private sectors. We invest more than US$10 billion a year into private sectors across emerging markets. We started investing in private equity funds in 2000, and have invested in more than 130 funds in emerging markets. I believe IFC invested in roughly 10% of all the private equity funds ever existed in emerging markets. We currently have an active portfolio of more than US$2 billion. Clean tech and energy efficiency is one of our focuses in our private equity investments. IFC started investing in these areas in 2007. Up until now, we have invested in 17 funds in total, and on average we invest in three to four funds per year. The main focus includes traditional clean tech, renewable energy (both upstream manufacturing and downstream power generation), and all sorts of resource efficiency and environmental services (such as recycling, water efficiency, sustainable agriculture and sustainable forestry). IFC has a subsidiary called IFC Asset Management Co., which is a fund manager that leverages IFC’s own expertise and resources with the capacity to raise funds from third party investors. IFC Asset Management Co. set up a Fund of Funds (officially called the Climate Catalyst Fund), which just had its first closing of US$500 million, to invest in climate change funds. IFC put US$75 million into it, and it will do further fundraising in the future. I’m not directly managing that FoF. I started in the current position in 2011, and my role is to provide pipeline and resources of the IFC to the FoF, so that they can decide whether to co-invest with IFC or not. I also manage IFC’s own investments in the climate change area. Q: On IFC’s website, it describes the IFC Climate Catalyst Fund as part of IFC’s strategic focus on addressing climate change across emerging markets. 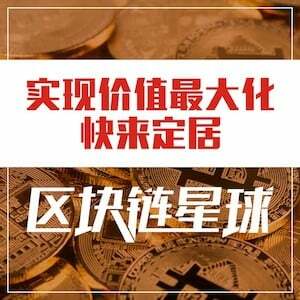 Specially in China, what investments have you made? A: Given our investment focus, you can probably guess that China is the largest focus of the fund’s portfolio. Up until now, roughly 30% to 40% of the fund’s portfolio is focused on China. Our focus includes environmental services, waste recycling, renewable energy and energy efficiency. We have also invested in funds investing in water efficiency, water recycling and water treatment. As you may know, the clean tech and renewable energy sector in China has gone through tremendous adjustments during the past two years. The issue of overcapacity, the European debt crisis and changes in subsidy schemes in Europe have negatively impacted China’s export-oriented clean tech sector, especially the solar sector, and to a less extent, the wind sector. 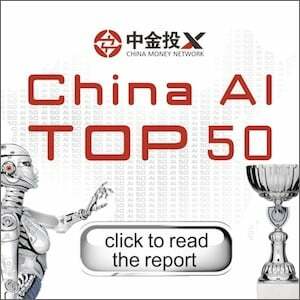 A large number of Chinese companies will not survive. But I believe we are at the end of the adjustment, and in fact, it may be a good time to get into the sector again. Moreover, given the recent headlines about China’s (grave) pollution situation, we see this area as having great potential. The new leadership will take pollution treatment seriously. Q: Do you invest only in private equity funds, or individual projects, or both? A: IFC does both. For myself, I invest only in private equity funds. We prefer to avoid venture capital funds because intellectual property rights are often at the risk of compromise in emerging markets. For most funds that we invest in, we also have co-investment options with the managers. Of course, IFC has its own direct investment programs into clean tech as well. Q: There are many private equity funds in China with clean tech and climate change as part of their industry focuses. They might also invest in healthcare or consumer. Do you invest in these multi-sector funds? A: For my own mandate, I only invest in funds focused on clean tech and climate change. Usually, the funds need to invest at least 80% or 70% of their money into the climate change sector. Q: For funds that you invest in China, what qualities or experience do you look for? A: IFC has a mandate to support first-time fund managers. More than half of our fund managers are first-time managers when they first came to us. We normally evaluate their track record and their ability to generate pipelines. Some first-time managers don’t have a track record, so we check out their past experiences in doing transactions in that particular market. Secondly, the ability to generate pipeline is probably the most important aspect. Sometimes in China, people come to us with a long list of pipelines. We dig deep to find out the source of those pipelines, whether they are proprietary or just something the managers heard in the market. In China, to generate pipelines means that you have to have very good local connections. Q: Can you give us some examples of your investments in China where your investments have positively impacted climate change? A: We invested in Tsing Capital, which currently manages five funds in the clean tech sector. We invested in two of their funds. 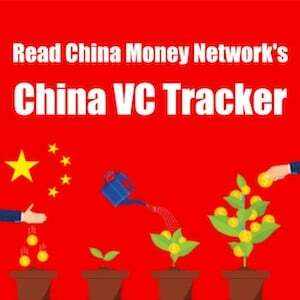 They are one of the leading funds focusing on environment and clean tech sector in China. They are a leading institution adopting sustainable investment approach. When IFC invested with them, we worked with them to ensure that they are not only themselves adopting IFC’s environmental and social performance standards, but also they ask their investee companies to adopt those best practices as well. On top of that, they also provided very good financial returns to us. Another example is one from IFC’s direct investment program. IFC has worked with many banks in China. We provide them funding and technical assistance to support their clients for small scale energy efficiency projects. It is called China Utility based Energy Efficiency program (CHUEE). We estimate that the projects supported by this program have achieved more than 15 million tons of CO2 emission reduction since the program’s beginning in 2005. Q: What challenges do you face in those funds that you invested in China? A: All the funds that we have invested currently face the same challenges that are testing other private equity funds in China. We have funds that have a hard time raising additional money, even with IFC support. Also, the exit channel remains challenging for some of our funds. Q: How do you evaluate your investment performance? Is it just the numbers or you also incorporate impact on climate change? A: For private equity funds focused on climate change, we ask them to report information regarding underlying projects’ environmental impact, such as green house gas emission reduction or clean energy generated. We also collect other social aspects of the funds, such as ratios of female employment and how many small and medium enterprises they support. Q: Do you have an internal performance target? A: In general, for private equity funds, 20% is a good number to target. IFC has actually outperformed this for the past ten years. For clean tech, however, we are more conservative given that there are a lot of infrastructure type of investments on the renewable energy side, which traditionally provides stable but lower returns (around mid-teens). Of course, in clean tech ventures and environmental services, you basically are looking at 20% to 25% IRR (Internal Rate of Return), and the performance frequently came out around high-teens to 20%. Q: Lastly, what’s your outlook for your mandate and investments going forward? A: IFC’s investment in climate change funds is relatively small. We invest in three to five funds for roughly US$70 million to US$125 million on our own book per year. Now with the FoF, we essentially have two sources of money to invest starting from this year, probably doubling the amount of money we can invest. But we won’t increase the number of funds we invest. Based on our mapping of the industry, there are maybe 150 or less funds focused on clean tech and climate change across emerging markets. Perhaps we will invest 30% of a fund now with our FoF, instead of 15%. 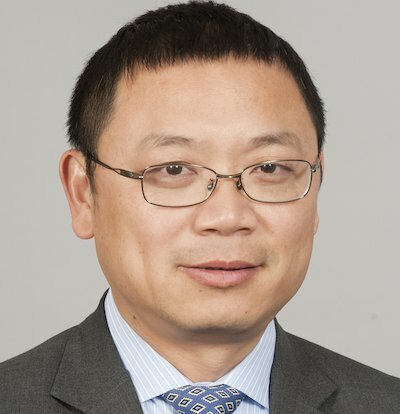 Chenggang Jerry Wu is principal investment officer at the Private Equity Funds Group of the IFC, responsible for IFC’s investments in private equity funds focusing on climate change and resource efficiency. Mr. Wu joined IFC in 1999 as a structured finance specialist. From 2003 to 2008, Jerry worked in the IFC’s Global Financial Markets Department, then from 2008 to 2011, Mr. Wu was based in Hong Kong, responsible for scaling up IFC’s partnership with local financial institutions to support energy efficiency, renewable energy, water efficiency financing and other climate change related business.